The sport of mixed martial arts, the life of a fighter, and the constant swings of it all, fighting isn’t for everybody. 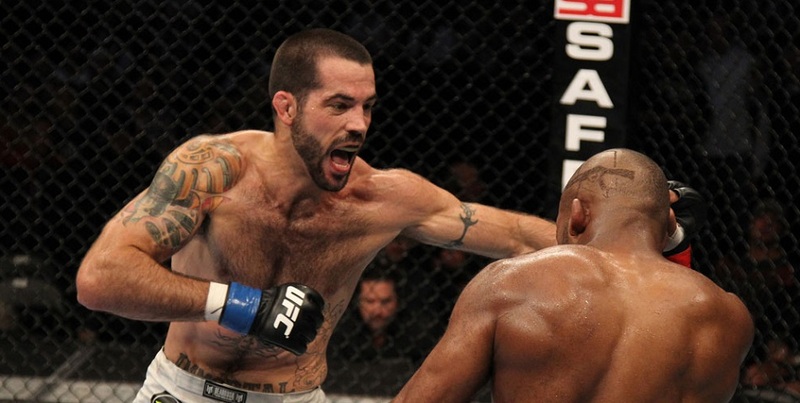 It is, however, for UFC welterweight Matt Brown. Brown (22-15), ranked #14 in the UFC welterweight division, will take on the #13 ranked Tarec Saffiedine at UFC 207. The event is scheduled for December 30th at the T-Mobile arena in Las Vegas. Brown’s most recent appearance inside the octagon was in July at UFC 201 from Atlanta, when for the first time in his career, he was finished via strikes by Jake Ellenberger. 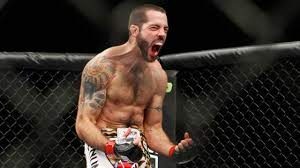 Like we have seen throughout the exciting career of “The Immortal” Matt Brown, he overcame early adversity. In this particular fight, on this particular night, things were a little bit different. Brown made headlines this week while talking about the aftermath of his loss to Ellenberger. While appearing on The MMA Hour on Monday, Brown was very open and honest about how he felt after a loss he felt was the toughest of his career. After a follow-up question from host Ariel Helwani, Brown clarified what he meant. At the conclusion of that interview, multiple websites titled their articles saying that Brown was suicidal. For those who listened to the interview, Brown admittedly said that he shouldn’t have used that terminology, but he was mature enough to know the difference and not act on it. He released a statement via social media on Wednesday to give further clarification and apologizing for mentioning a serious issue in that way. Brown has been in the fight game and in the UFC for a long time. On Wednesday night, while on the SFLC Podcast, Brown expressed his understanding of media in the sport of mixed martial arts, along with a little bit of disappointment. Brown is preparing for his fight against Tarec Saffiedine, on a massive UFC 207 card on December 30th in Las Vegas. Saffiedine (16-5) is 2-2 in his UFC career. Despite his .500 record in the organization, and his streak without a finish in a victory since a 2nd round KO over Nate Moore in May of 2010, Brown is fully aware of how difficult the challenge is ahead of him. With the help of a great support system, his wife and three children, Brown has continued to evolve, not only as a fighter, as a husband, a father and a person. 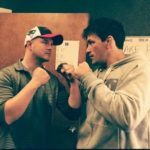 While Brown strikes us as a modern day warrior, and he certainly has those tendencies, he also has realized that fighting should be a part of your life, not all of it.